The Milwaukee Journal-Sentinel has a story about regional slang from Wisconsin, some of which is disappearing. I’ve used bubbler recently enough, and I know what a Berliner is. I could suss out what Schafskopf is even though I’ve never played it. Unfortunately, as some of the older Germans and whatnot are dying out, the old slang are going with them. So to preserve my native heritage, to remind everyone in southwest Missouri that I am not a native, and to sound cool in my own mind, I’m going to start using them. Particularly rumpelkammer, which means a storage room that’s messy. Not mentioned in the article: rathskeller, which I specifically mentioned when looking for my latest home. This summer, I returned to Wisconsin for the first time in seven years. Seven years? For Pete’s sake. I guess I’ve been living in the Springfield area for six years now, and I haven’t attempted the ten hour drive previously, so I guess it has been that long. Not that Wisconsin missed me as much as I missed it. I’ve built it up in the minds of my children as the closest thing there is to Eden on Earth, but they’re very skeptical of their father’s claims for some reason. For my own future reference, here is a checklist of things to do in Wisconsin if you’re me. 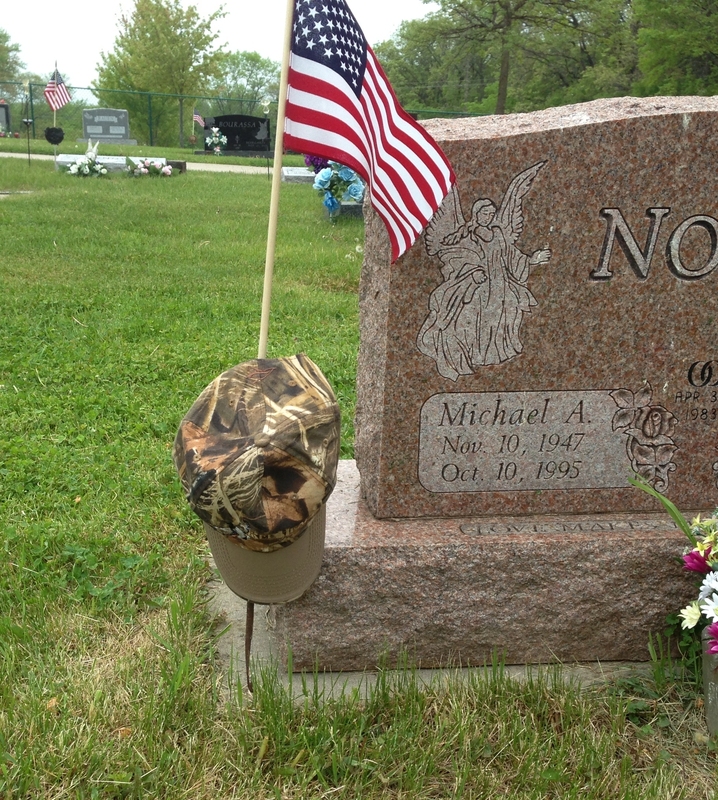 ☑ Put a camouflage duck hunting hat on my father’s grave. I don’t think of my father much as the flowers type. He wore a hat much like this one of most of his adult life, so I leave one to remember him as he was. ☑ Drive down by the lakefront on a sunny afternoon. As part of a whirlwind your of Milwaukee and showing my children where I went to the university, I did so. However, my children were more interested in their Gameboy Advances that they get to play with during long car rides. However, the older one did take a look out over the blue water, the beach, and the sailboats. ☑ Breakfast at George Webb. 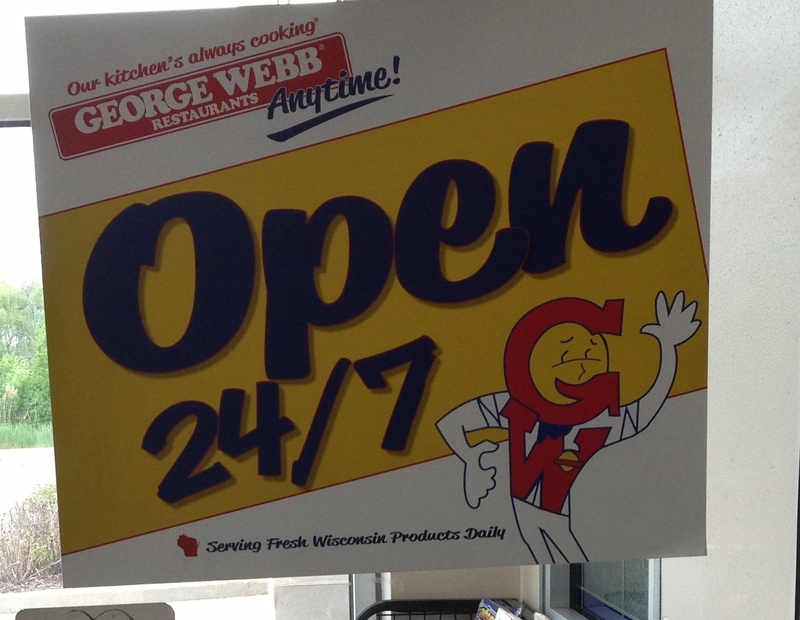 We spent the first night in the Milwaukee area, and when we discussed breakfast options, I said, “George Webb’s.” We looked for a location near our near-Menomonee Falls lodging, but the George Webb site tried to send us down onto Capitol Drive. I investigated further, and my beautiful wife sought out alternates, including Dunkin Donuts (which we also don’t have in Springfield). I found a closer one in Germantown, and my wife announced to my disappointed children that I had my heart set on “the George Webb place.” She is from the UP, as I explained to many, many of my fellow Wisconsinites on the trip. ☑ Dude, you’re going to the Dells. Our real target was a resort in the Wisconsin Dells. When we picked the destination, my beautiful wife asked me what there was in the Dells. I had to admit I didn’t know; mine was not a middle class upbringing, and when I lived in Wisconsin, we did not vacation at the Dells. Actually, in my youth, I went on one (1) vacation, and that was (oddly enough) to the Missouri Ozarks (Rockaway Beach on Lake Taneycomo specifically). We did take a couple weekends “up north” in the family’s cabin in northern Wisconsin and/or the UP (where I might have caught a glimpse of my beautiful wife in her childhood, forever bonding us before we knew it, but probably not). 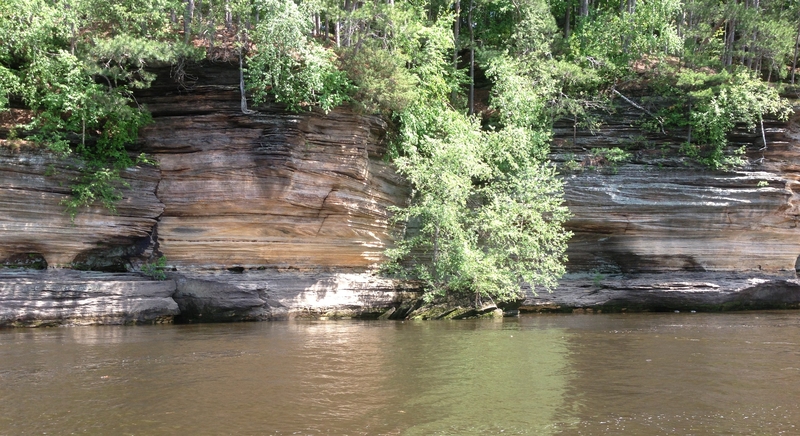 All I knew about was the river bluffs called the Dells. Which we saw. 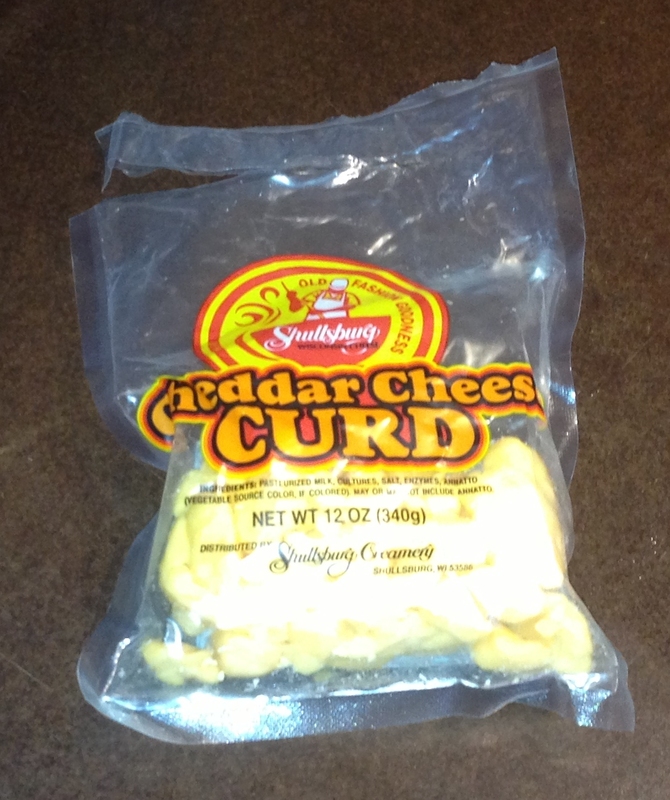 Wisconsinites might not realize it, but you can’t get cheese curds to snack on everywhere, although you can get them everywhere in Wisconsin. So I bought some and introduced them to my children, explaining that where the gods have ambrosia and nectar, Wisconsin has cheese curds. 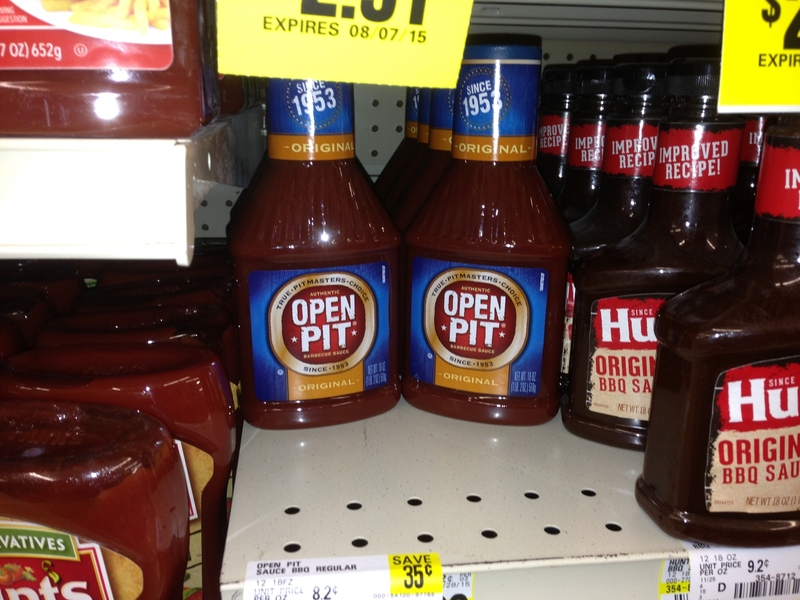 Speaking of things unavailable in Missouri, they don’t sell Open Pit barbecue sauce in this uncivilized land, either. It’s vinegar with a hint of tomato for coloring. I didn’t remember its taste clearly because my family didn’t barbecue that much when it was a family and when I lived in Wisconsin. But I remember it’s what we used, so we picked up some at the local grocery. I’ve since used several bottles and will have to find out if Amazon delivers it, or else I’m going to have to re-enact Smokey and the Bandit to bring a truckload home. Although it’s not really in the Dells, the House on the Rock is close (within an hour’s drive), so we went. Mainly because I’ve seen signs for it and misremembered articles about it and confused it with Frank Lloyd Wright’s Fallingwater. There, I admit it. The House on the Rock instead is a crazy clubhouse tourist attraction built atop a column of sandstone. The fellow who built it intended for it to be a tourist trap, and it’s got rooms bored in the rock and an Infinity Room that extends like a finger over the valley so you can walk out and look down on the trees (come on, you can see why a house with a finger extending over a valley might be confused with a house extending over a waterfall, can’t you? Please?) The house maintains a large set of automated orchestras, a large carousel, and many collections. My beautiful wife said if we ever get insanely wealthy, I can build one like it (which means the hard part is over!). ☑ Stock up on Packers gear. Here in Missouri, if you want Packers stuff, you have to order it off the Internet at Internet prices. Which are a premium. 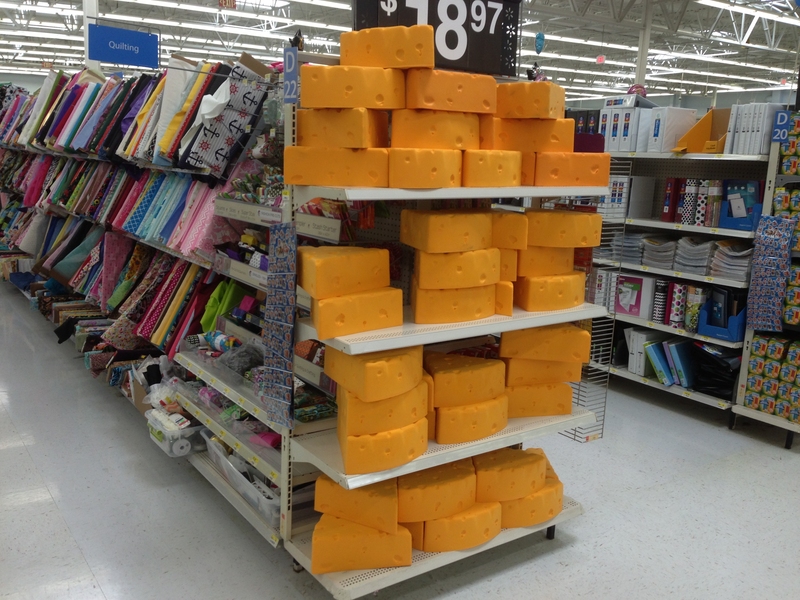 In Wisconsin, if you want Packers stuff, you go to Walmart. Or the gas station. They practically throw a Packers pennant into your plastic bag with purchase in Wisconsin. So now I have Packers apparel for every day of the week. AS BEFITS ANY TRUE WISCONSONITE. ☑ Pick up a Wisconsin accent. The last time I was in Wisconsin was only for a weekend, and I came back to Missouri with a touch of the accent. During the course of five days, you can imagine how far up my nose I pronounced my vowels. When I came back, I spoke slowly to pronounce words almost in the fashion of these soft southern tribes. Even today, weeks later, I still pronounce words like car and bar in the northern fashion on occasion. 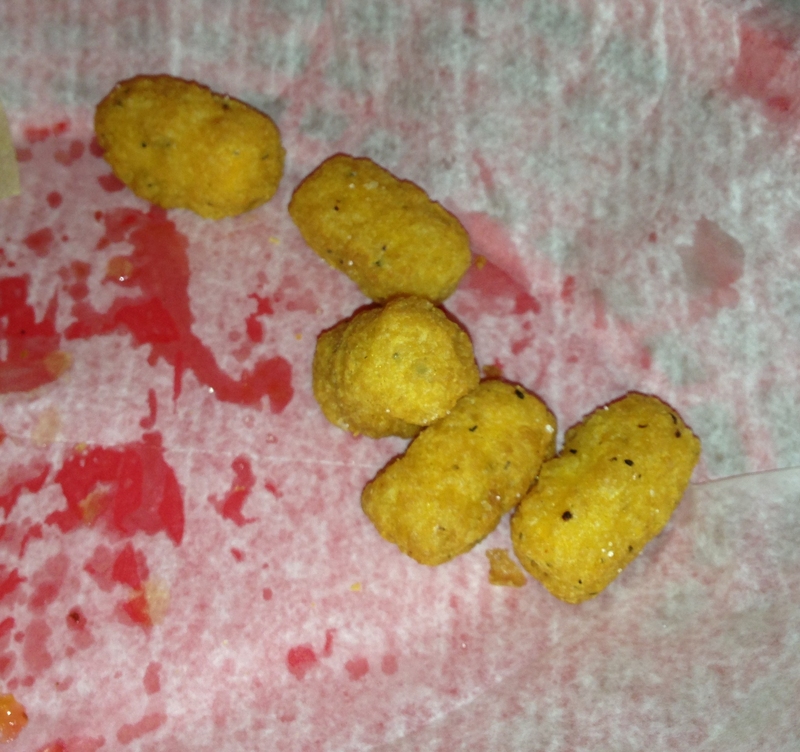 ☑ Eat fried cheese curds. Because even a Wisconsinite needs variety. ☑ All other tourist duties as assigned. While in Wisconsin Dells, we rode the Ducks (the amphibious vehicles that drive a little way on the road and a little on the river); we took a jet boat tour (which showed better selections of the Dells and zoomed around and got everyone wet, so it’s a better time in my arrogant opinion); we did a puzzle game venue (Wizard’s Quest) where you go through different scapes looking for clues to type into a computer and to release wizards or something (too long and a bit frustrating with two younger children in tow); we ate at a couple of nice restaurants; we went horseback riding; we visited the outlet mall; and we went to the resort’s water park and arcade almost daily. All in all, it was a pleasant trip home-ish. Although I didn’t get to spend much time with family in Milwaukee or any time with Milwaukee-area friends, it proved a successful ten hour car ride with children, so we might do it again sometime. Although I get the sense we have Michigan in the neared future, as my beautiful wife is from the UP and grew up in lower Michigan. A toddler who wandered down a lane at a Wisconsin bowling alley and was pulled into a ball return machine is rescued by one of the alley’s employees. There are so many quips one could make about this incident, but only because the lad is okay. If any violence erupts, how quickly will these pro-family, pro-labor, pro-working-man protesters change into anti-government protesters in media accounts? Anti-government protesters just like the Tea Party. Ha! Rhetorical question! Because immediately is too fast to be considered quickly at all. Do Wisconsin State Legislators Have To Vote In The Capitol? In Wisconsin (and near Wisconsin, as the case may be), the Democrats in the State Senate have fled the state to prevent a quorum in a vote they would lose (some about it here). They’ve holed up in a hotel called the Clock Tower Resort in Rockford, Illinois (just over the border from Beloit). I mean, really, who thought that would be a good idea? Am I the first to come up with Wisconsin Democrats Climb Clock Tower? My question is this: Does the legislature have any way to vote outside the capital? Can the Senate choose to hold its votes elsewhere in case of emergency or other circumstances? Can the Wisconsin Senate go to Illinois? Because I think a bus full of Republicans chasing a bus full of Democrats down I-39 into Bloomington would be riveting television. I’d tune in. The states without income tax, I felt, always had an advantage in recruiting free agent players. Teams in Florida, Tennessee and Texas used the fact that their states had no income tax to show players how much more they would take home than teams in high income tax states (like Wisconsin). In some cases, agents actually showed me data from other teams showing how much more the player would make over the life of the same contract in one of those states. In recruiting players for Green Bay, I would always hear from agents how much more a player would make from, say, the Buccaneers or Texans compared to the 6.6-percent state income tax that Wisconsin would take from Packer players. Clark’s son was among the 450 children with pre-existing medical conditions who were dropped by the Health Insurance Risk Sharing Plan Authority when BadgerCare Plus was introduced. Their experience is an example of the often-inescapable complexity of state health programs and the insurance market in general, particularly for families who do not get insurance through an employer. Is the solution letting the free market work? Foolish mortal; the obvious solutions include drug reimportation and spending even more tax money. Glendale will have to borrow an additional $16.5 million to pay for public improvements at the Bayshore Town Center, bringing the total spending by the city to $57 million. RNC Capital Markets conducted a financial study of the city last fall and determined that Glendale could pay an additional $16.5 million toward the financing. The $300,000 or more will be absorbed by the developers as part of the agreement with the city dating back to 2004. Home and business property owners in the city will not shoulder any of the borrowing for the project. Because the city exists independently of your taxes, apparently. In a rare courtroom appearance, Attorney General Peg Lautenschlager handled the limited prosecutorial duties, adding one charge to the eight previously filed against Vang. The new information adds a third count of attempted first-degree intentional homicide, alleging that Vang tried to kill Lauren Hesebeck on two different occasions during the rampage. So Peggy Lotsalager’s showing that she’s tough on crime by showing up to personally oversee the high profile case of the Hmong hunter who shot and killed several other hunters. That should help people forget she likes to unethically drive state cars while intoxicated. Extra kudos for the extra charge for trying to kill the same person twice. Why stop there? Why not one for each bullet? How about an attempted murder charge atop a murder charge if more than one bullet struck an individual. No, wait; how about a murder charge for every bullet that could have killed a victim? In Wisconsin, the Joint Finance Committe has passed a budget amendment designed to thwart the state’s no call list, which has been in effect for all of five months now. The new budget amendment, small companies with fewer than 25 employees can call you even if you’re on the No Call List. Of course, the amendment comes out of committee with a straight party-line vote, with “small government” Republicans all voting for it. Let the loophole lassoin’ begin! (As heard on Weber and Dolan this morning).